In today’s restaurant scene where competition is so tight that those without original concepts, great food, or constantly-changing gimmicks (or all of the above) quickly fade out and die, it’s quite rare to find a restaurant that does not pretend to be more than what it was designed to be: a dining place. A spot where guests can enjoy good food without regard for authenticity or popularity, without following hypes. You can tell when an establishment doesn’t long after money or fame—but rather, it exists because of a simple aim to provide good food and service. 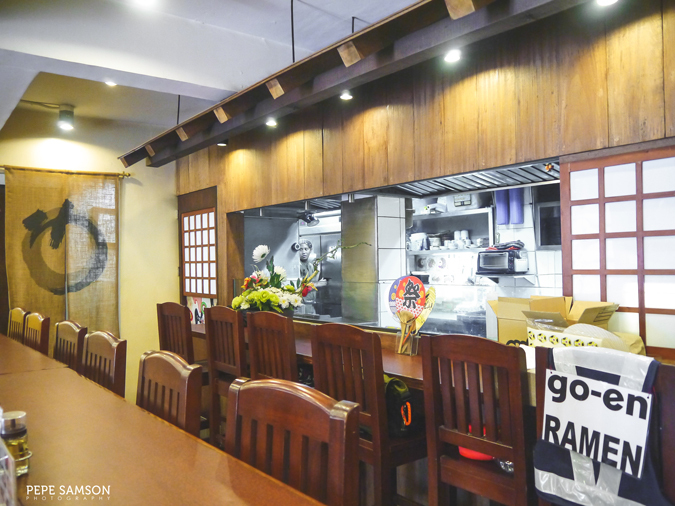 Such passion is admirable, and I found this in a quaint little ramen shop in Quezon City called Go-En Ramen. 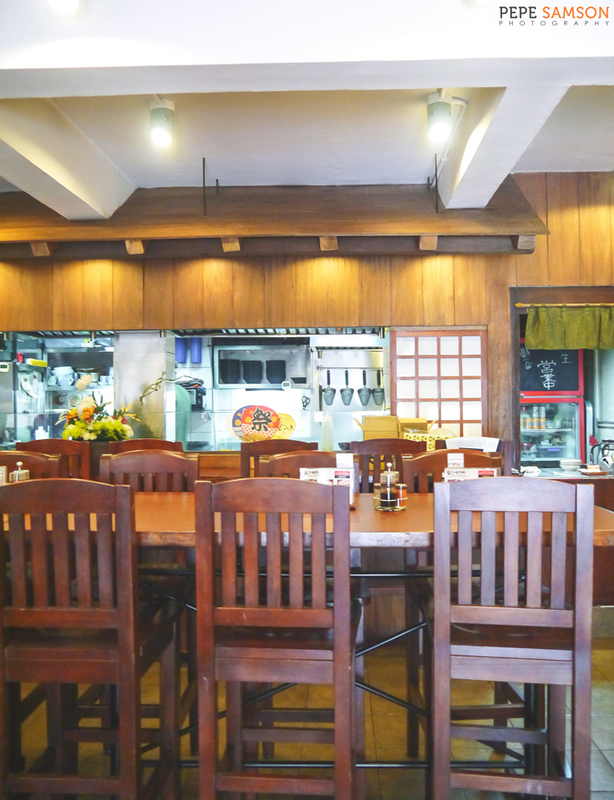 Go-En has all the trimmings of a neighborhood restaurant: small and discreet, it can accommodate around 40 people; it has a rather quiet lunch crowd, instead of the usual buzz and queues—perhaps composed of loyal patrons. 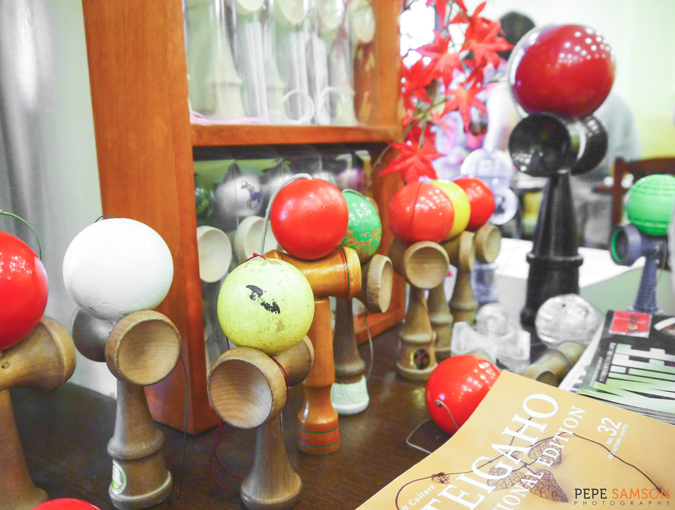 But once you settle in, you couldn’t help but feel transported. This was Japan in a different light, something straight out of your favorite anime. The open kitchen showcases local cooks and chefs who were trained with the Japanese ways. Each new dish being prepared spews out scents so irresistible, you can’t help but notice a slight grumble in your stomach. On one side of the restaurant is a shelf full of manga, which guests can borrow and read inside the store. 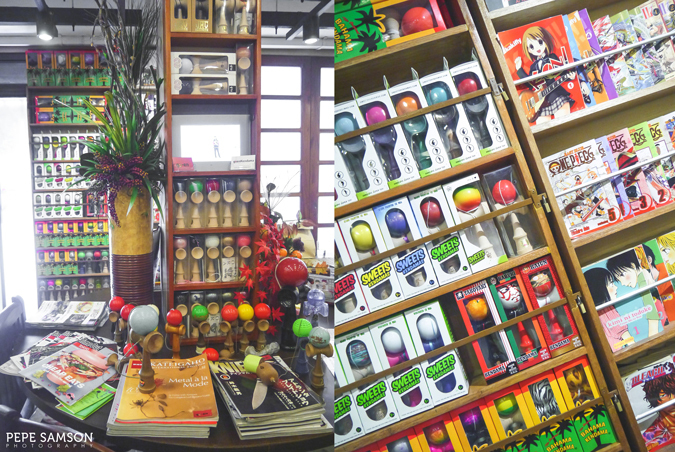 Kadamame toys are on display—for sale and for borrowing—and John, the owner, regales diners with his mad skills; he even teaches kids on some weekends for free. We visited during lunch and tried a couple of their specialties—ramen, of course, as well as typical Japanese favorites. 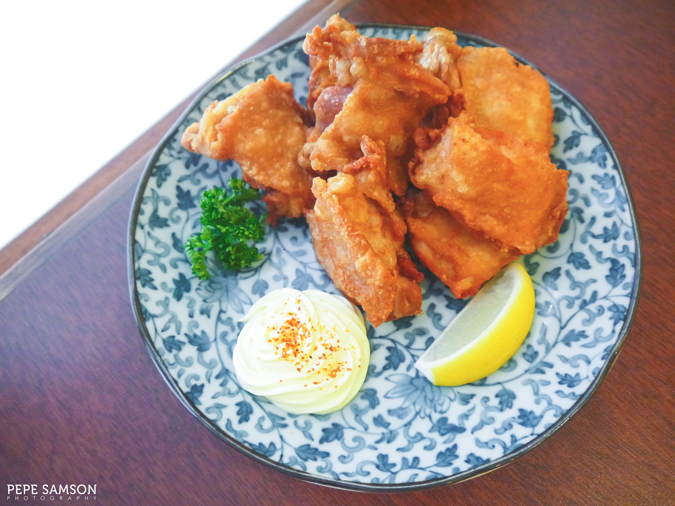 For starters, we had a platter of Kara-age (PhP250)—boneless chicken thigh in a light and slightly crisp batter, served with Japanese mayo. The chicken was moist and juicy—one of the better versions of kara-age I’ve tried. The Okonomiyaki (PhP350) came to me as a surprise. I don’t like this Japanese dish because the creamy combination of eggs and squid overwhelm me, but Go-En’s version was seriously delicious! Made Osaka-style, Go-En’s rendition has cabbage and bacon on top and is smothered with a special sweetish sauce which I think elevated this dish. 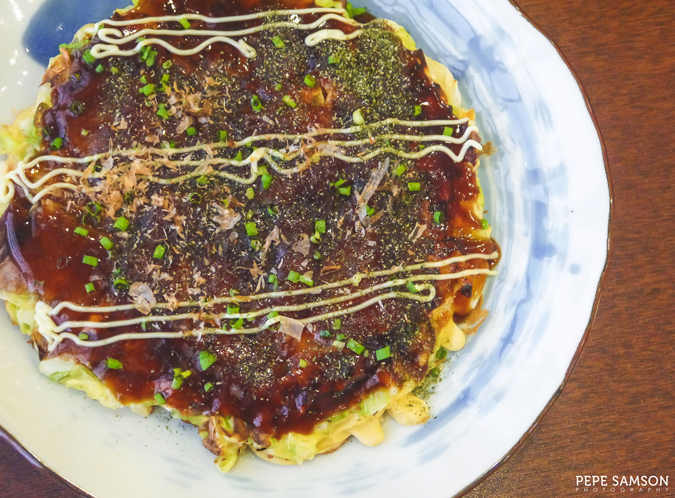 It was the first time I enjoyed an okonomiyaki! Go-En’s Tantanmen (PhP380), while delicious, was not what I had expected. 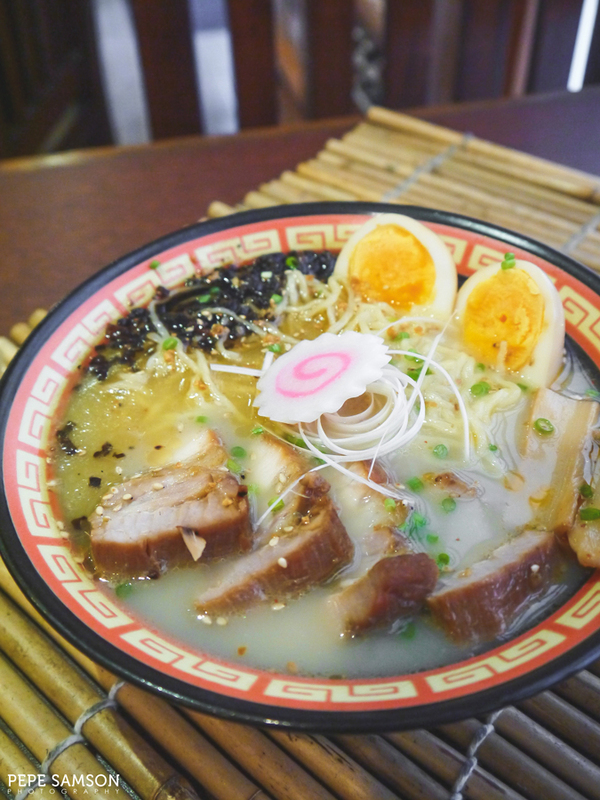 This ramen variant is usually spicy, but Go-En’s was mellowed down to suit the tastes—and the heat tolerance—of most of their customers. I would’ve preferred it to be a lot spicier, but there are condiments available anyway for you to adjust the heat level according to your liking. The Kogashi Shoyu (PhP380), on the other hand, is one that doesn’t scrimp on flavors. This soy-based ramen has a rich, smoky taste that makes slurping that broth an activity you wouldn’t want to stop. It comes topped with shiraganegi, menma, naruto, and tender slices of kakuni. This ramen was my favorite for the day. Grated cheese on your ramen? Why not? 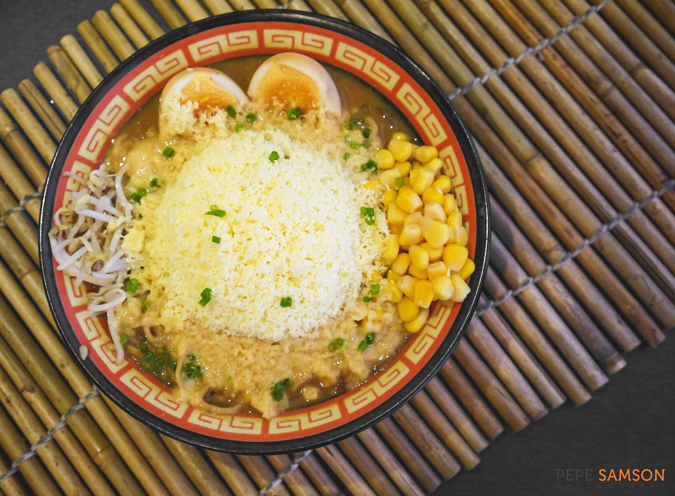 Go-En’s Cheese Ramen (PhP350) is a miso-based bowl that comes with moyashi, ajitsuke tamago, corn, and minced pork, topped generously with cheese! The cheese melts and becomes butter-like after a while, resulting in a mind-blowing flavor. 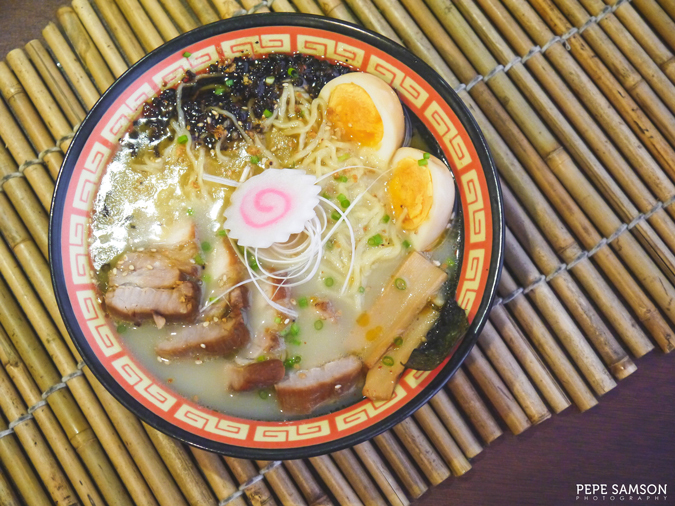 This is definitely one of the most interesting—and yummy—ramen flavors I’ve ever had. The mochi I’ve grown to know is super sticky, super sweet, and challenging to chew, but at Go-En Ramen I’ve tasted the only mochi version worth eating. 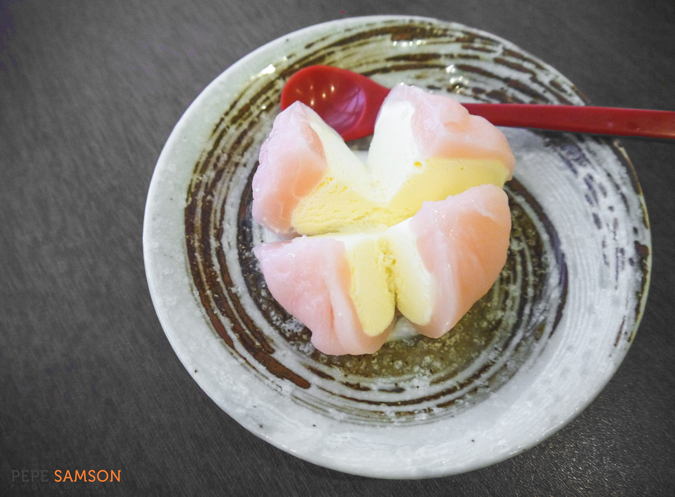 Go-En’s Mochi Ice Cream (PhP80) has a thin mochi sheet that encases homemade vanilla ice cream. The sweetness level? Just enough for you to finish one whole ball by yourself. Or two. Or three. Pastry chef and co-owner, Marilyn, who is also John's life-partner for 20 years, makes these awesome desserts herself! Our meal took place amidst casual conversations and amazing Kadamame demonstrations, which made the food all the more enjoyable. It was fun to discover a place that was unlike the rest—a humble restaurant that was simply all about good food and good times. 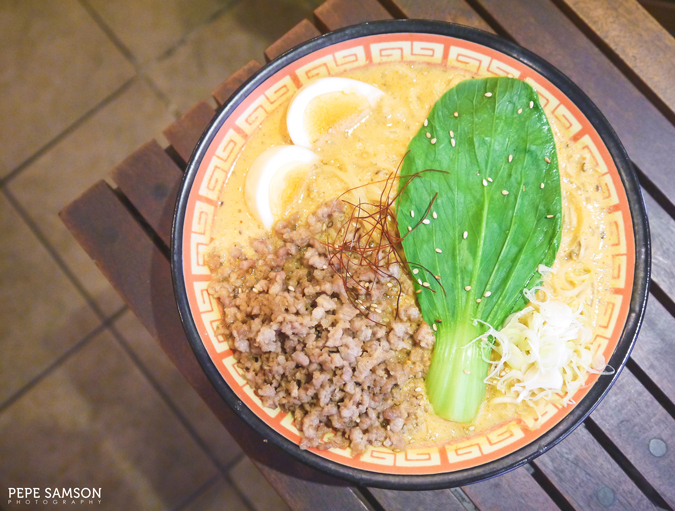 You can go in, sit down, and decide that you do not like their tantanmen, and from a couple who seems to be very satisfied with their life, you would think they would not care—but the truth is that every aspect of their restaurant is designed for guests to delight in. 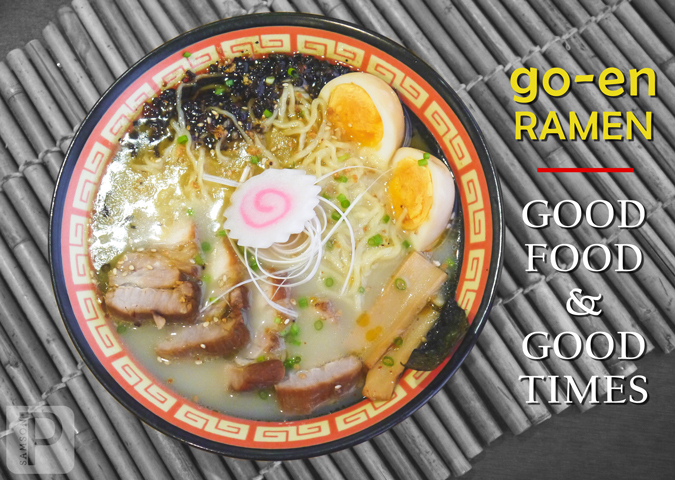 Go-En Ramen is definitely one restaurant you can hang out in and go back to frequently. 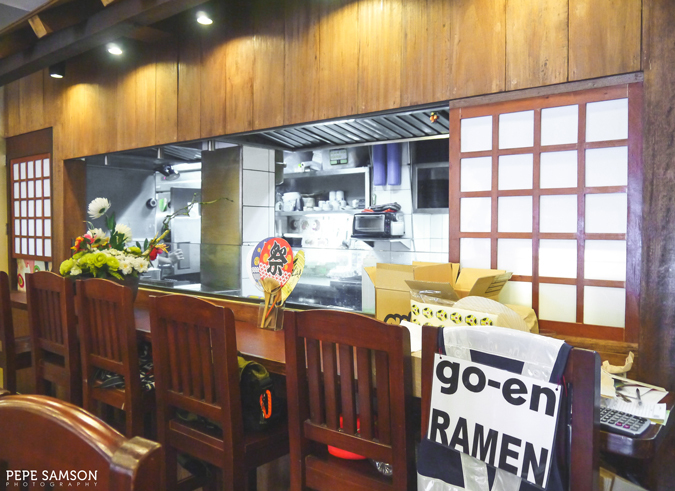 Have you tried Go-En Ramen? What do you think of their Cheese Ramen? My meal was sponsored by Go-En Ramen. All opinions, however, are my own.